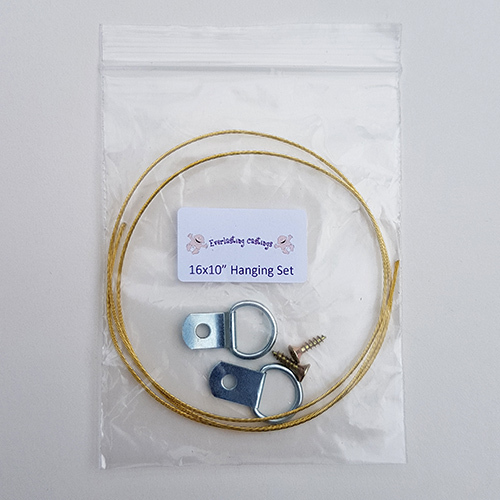 The hanging set comprises 2 D-rings, 2 screws and a length of high quality brass picture wire to fit our standard frame sizes. Deep with Pine Box - 8x8" to 18x10"
Or for a piece that is particularly heavy. 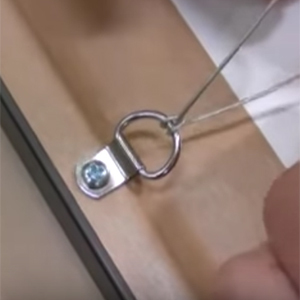 Please read Tam's Blog Post to watch the "How to Tie Picture Wire" video.